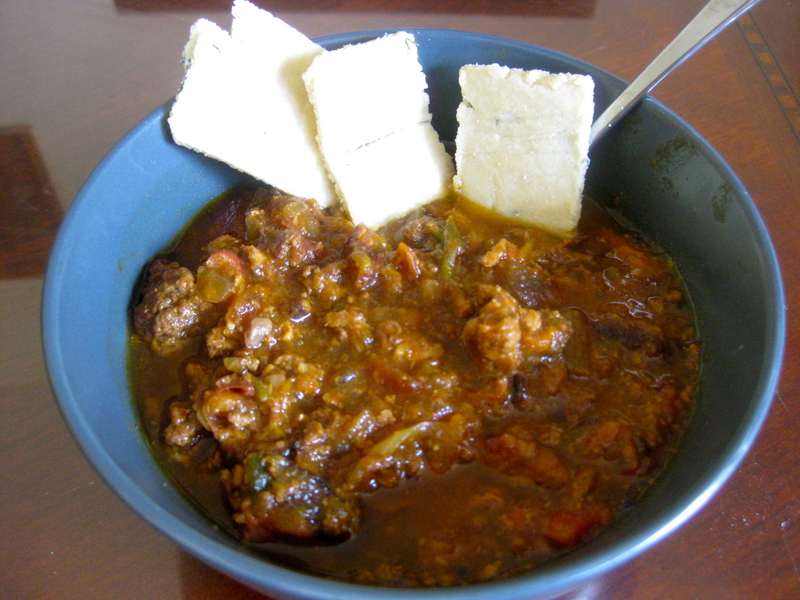 The Best SCD/Paleo Chili you have ever tasted! This delicious savory, spicy and sweet chili is the culmination of over a year of fairly tragic SCD legal chilis. No really. Everyone send Mike an air-five for being a champ and eating burned, bland, s0-hot-your-nose runs, oh and did I mention bland, chilis. However, by painstaking trial and error, I have created the BEST chili recipe! It reminds me of Fresh Fields chili, if anyone remembers the tiny yet incredible diner, in tiny yet incredible Stillwater, Minnesota. Hands down, this is the best SCD/Paleo chili I have tried. I started with this recipe from Paleo Pot and it evolved from there. Credit where credit is due, the Paleo Pot recipe was great but not sweet or substantial enough for an entire meal. So far we have served it a bunch of ways- plain, over spaghetti squash, over cauli-rice, with Roost Blog’s Almond Thyme Crackers, with onion and avocado, with cheese, etc. Try it out and let me know any fun new combos! 1.) Heat oven to 425 degrees. Line a cookie sheet with parchment paper and place bacon strips evenly. Cook for 9-12 minutes until finished cooking. I love cooking bacon in the oven because it cooks evenly but feel free to cook in the skillet as well. 2.) Brown the pork and beef. Strain the fat and set aside. 3.) Cook all of your veggies to roughly the same size. It doesn’t have to be perfect because you’re going to put half of them in your food processor or blend after cooking. 4.) Combine the spices in a separate bowl. Add all of the veggies, beans and meat to your crock pot. Add the water, spices, and honey and cook on low for 8 hours. 5.) Remove the top and stir to combine. Take roughly half of your mixture (about 5 cups) and blend it in your food processor. Add the un-blended portion to the blended portion and stir to combine. 6.) Serve and enjoy! We like it with avocados, served over spaghetti squash, with grated cheese on the top or just plain. Yum!